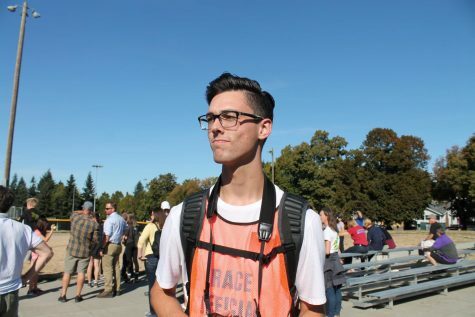 Going into his senior year, Jason Knoblich makes his debut as a reporter for The Miter. Completely new to journalism, Jason hopes to sharpen his journalistic skills and improve on his writing ability. To gain some background on Jason and understand who he is, it’s critical to know of his love for sports. He’s played sports all his life, and at Bishop Blanchet High School, he was able to play football and basketball for his first two years until deciding to pursue his running career. He’s now been running cross country for two years and going into this year's track season he’ll have been running for four years. Besides running Jason enjoys spending his spare time watching the Bishop Blanchet football team and spending time with friends.